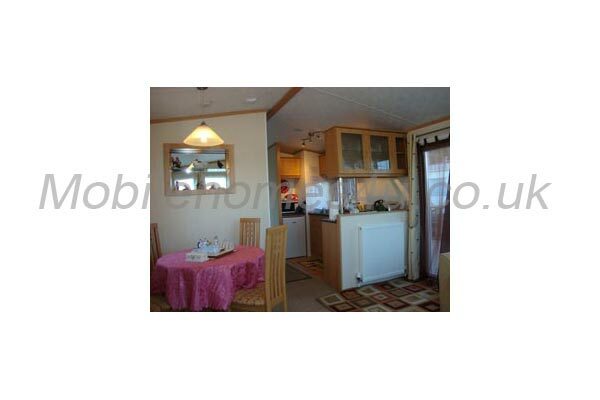 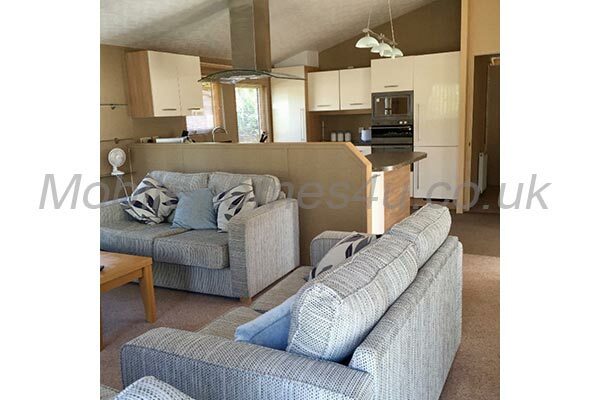 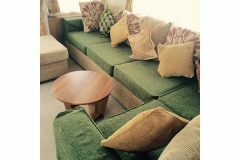 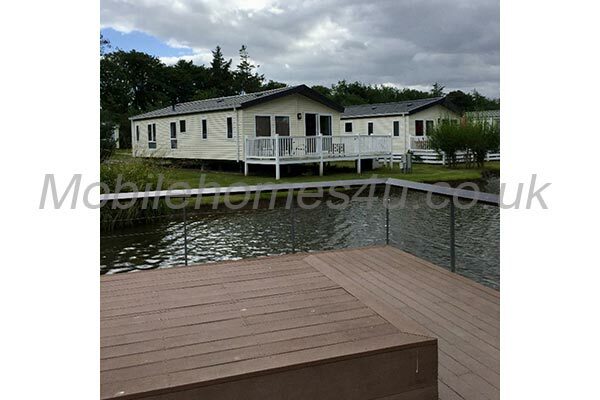 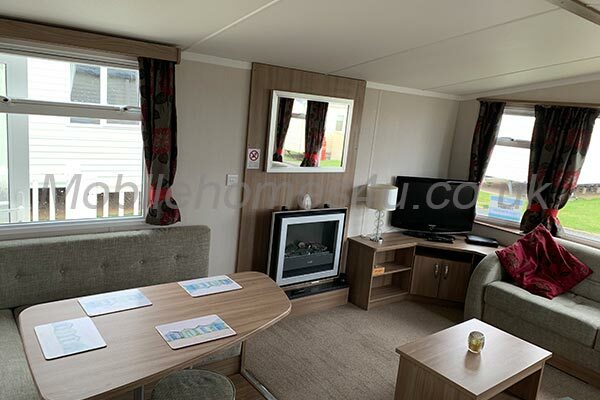 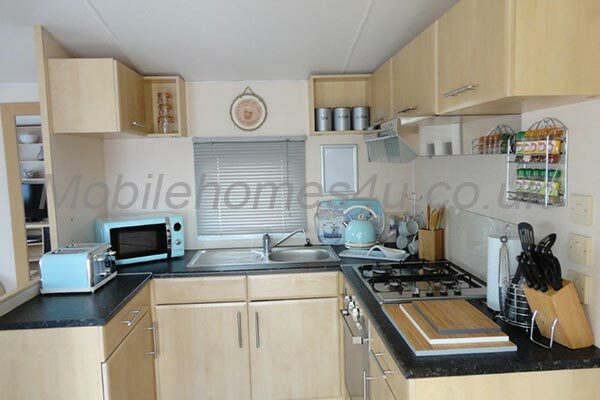 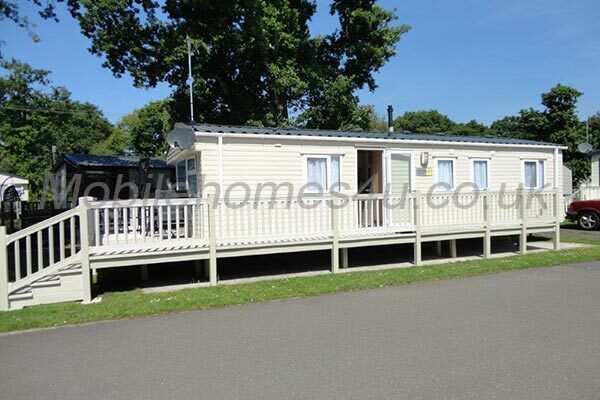 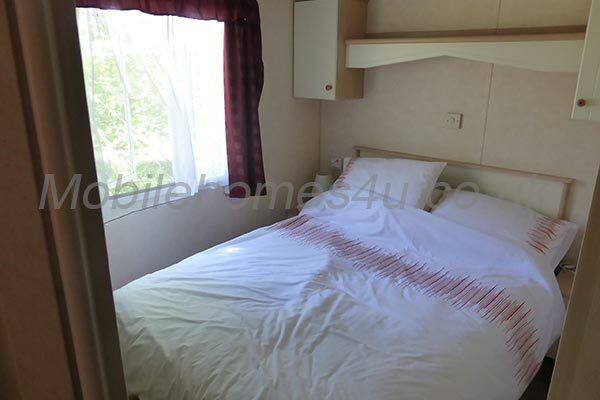 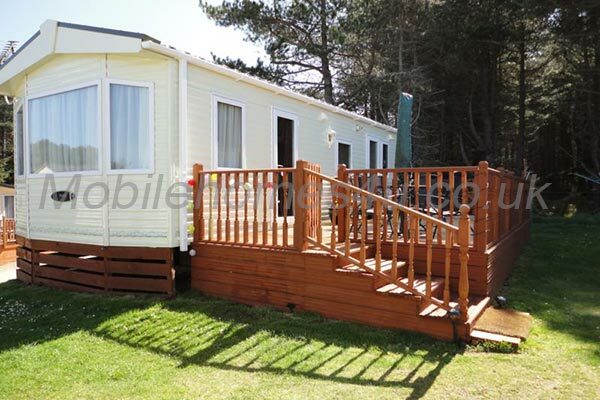 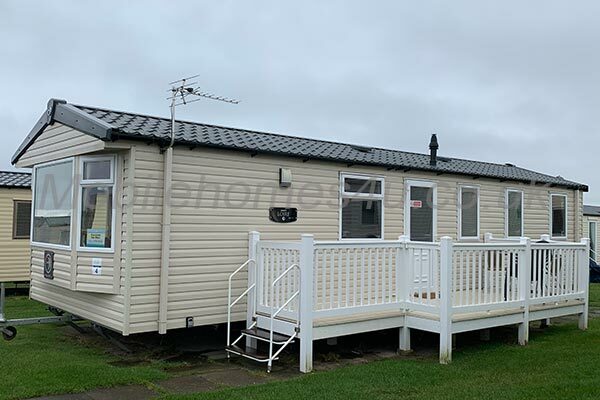 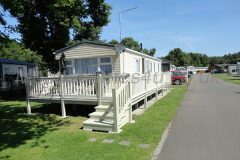 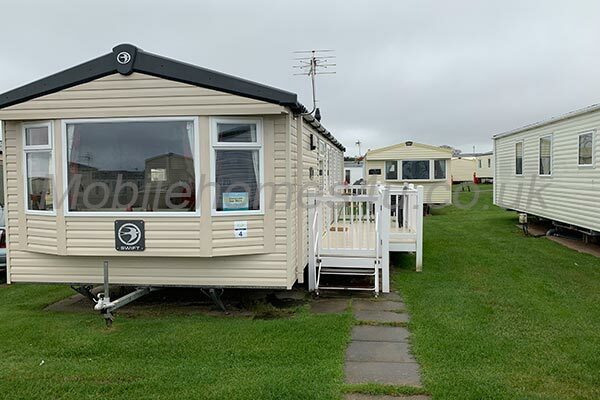 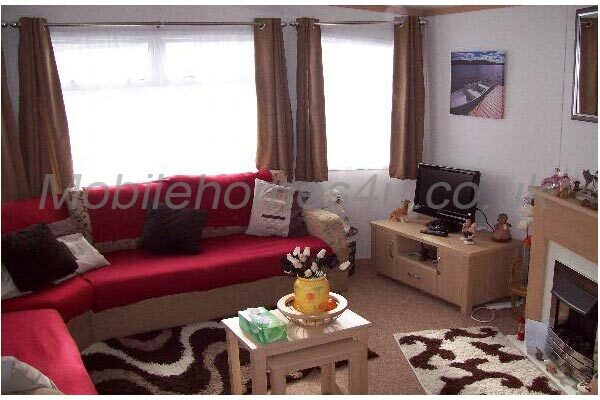 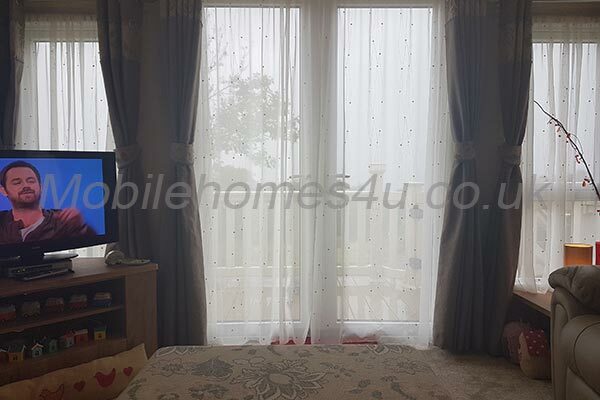 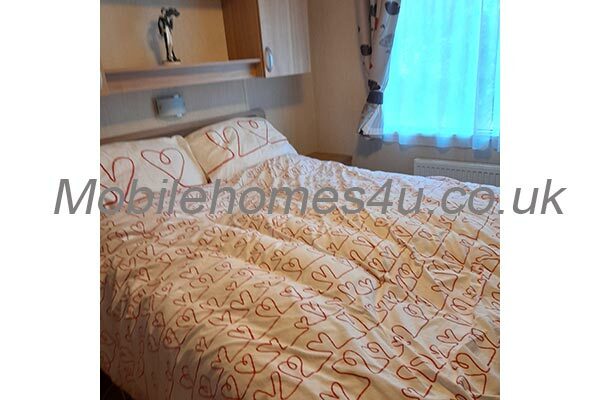 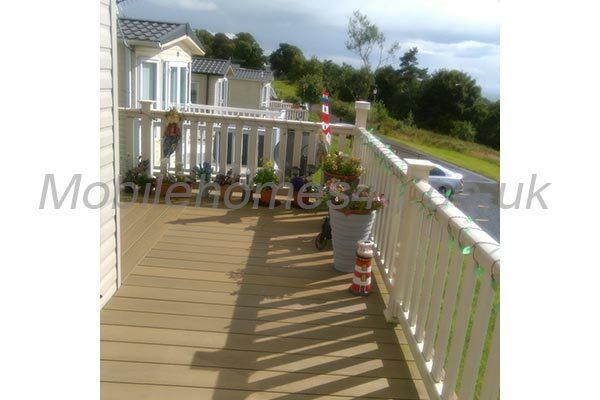 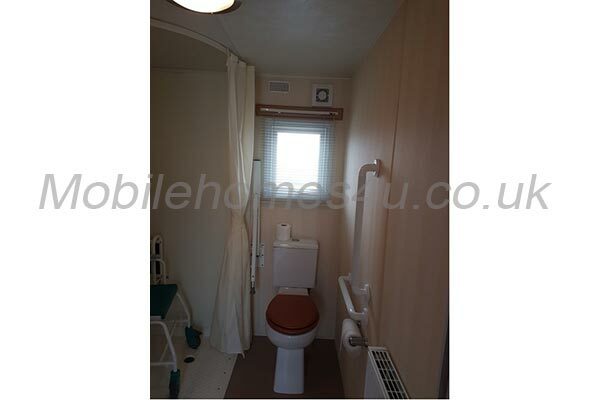 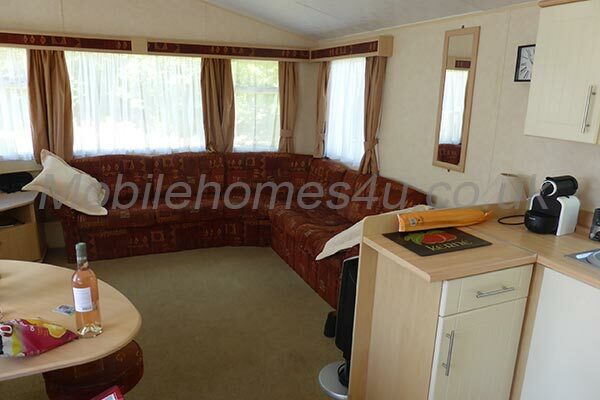 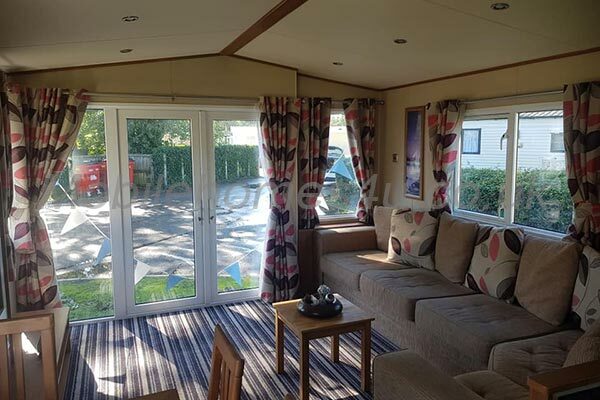 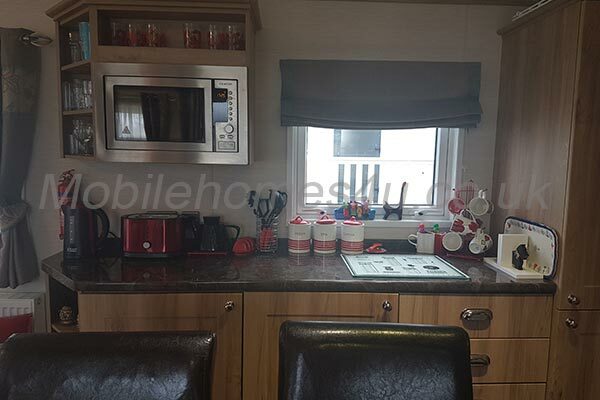 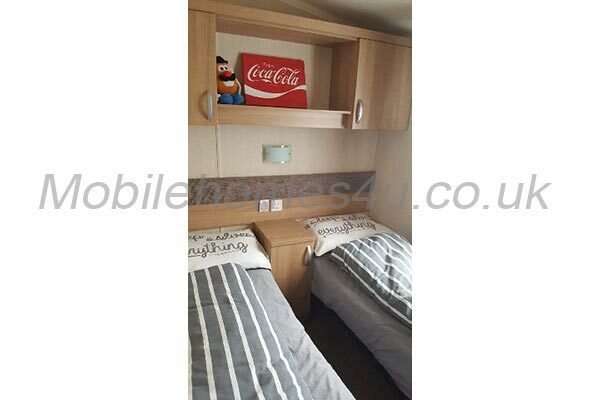 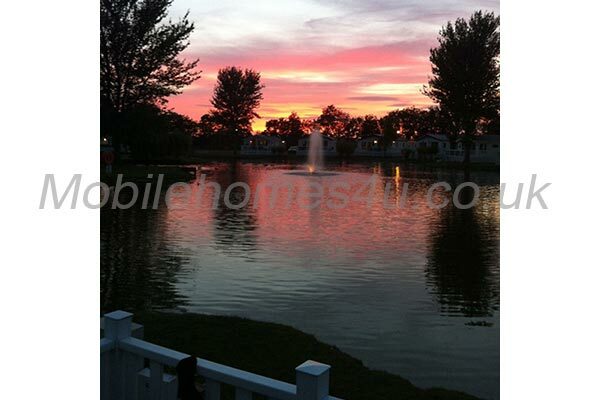 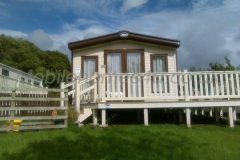 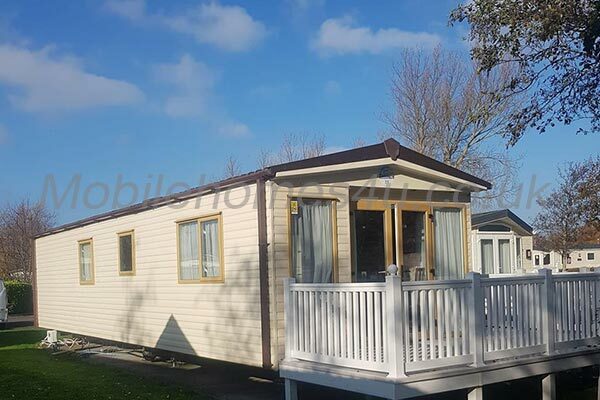 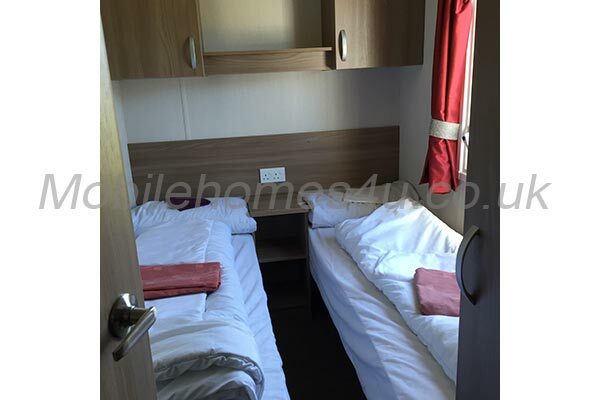 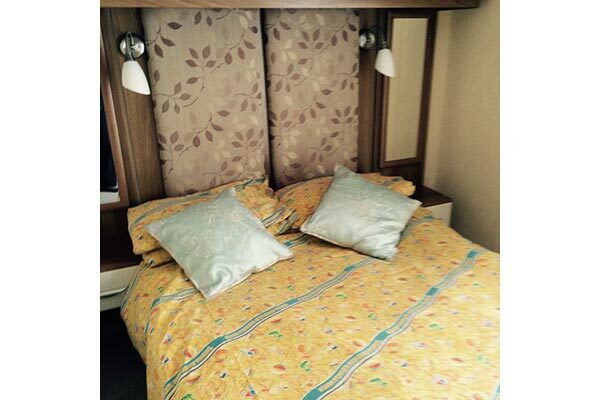 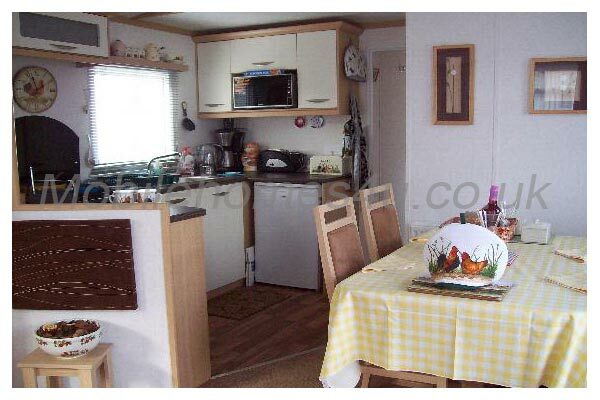 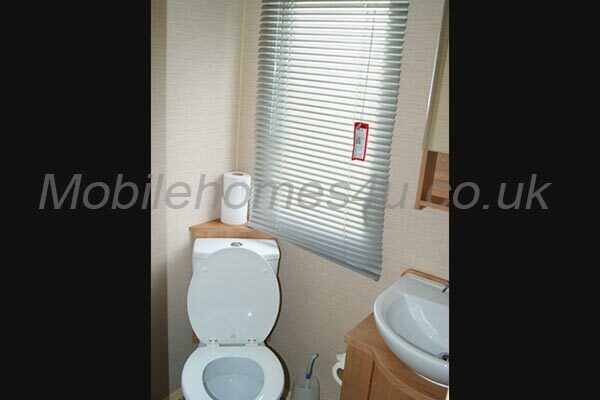 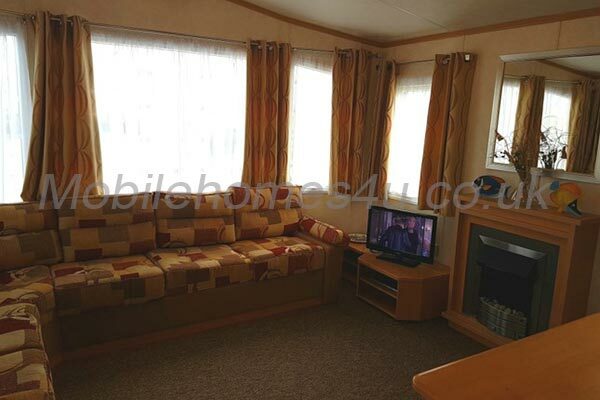 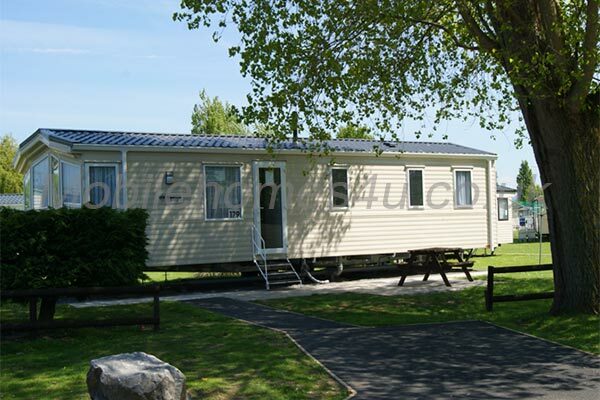 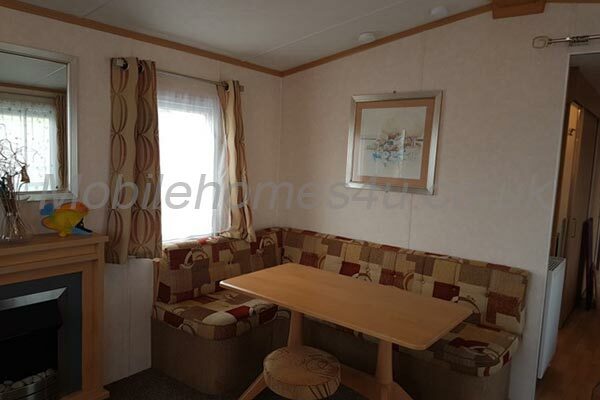 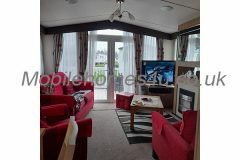 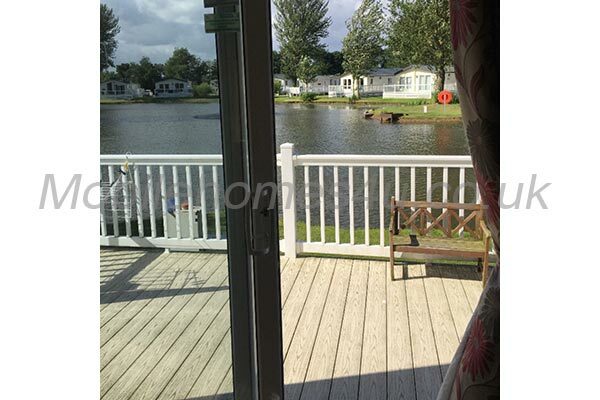 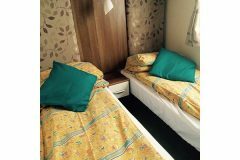 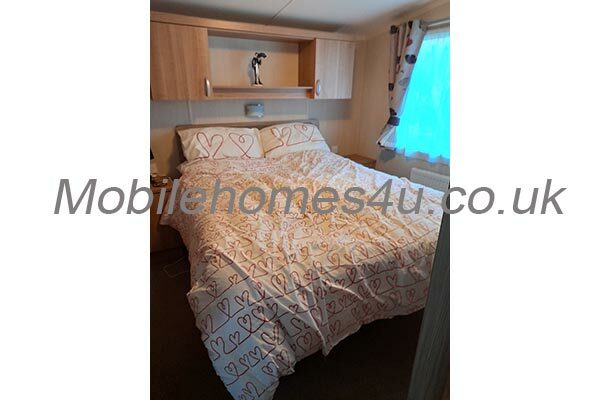 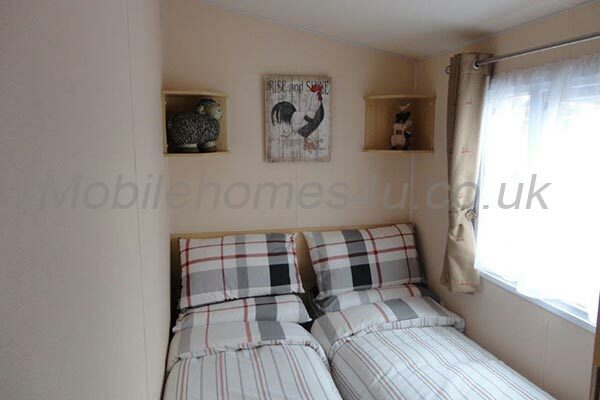 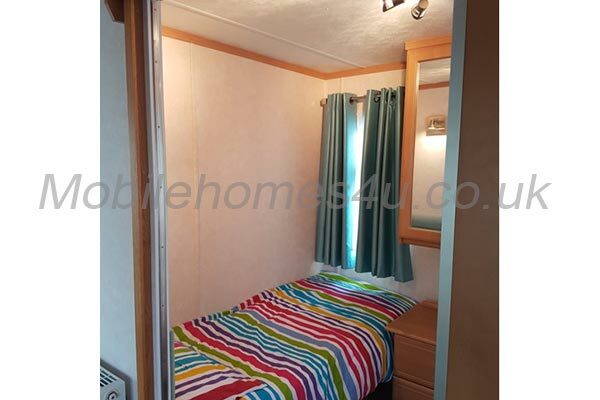 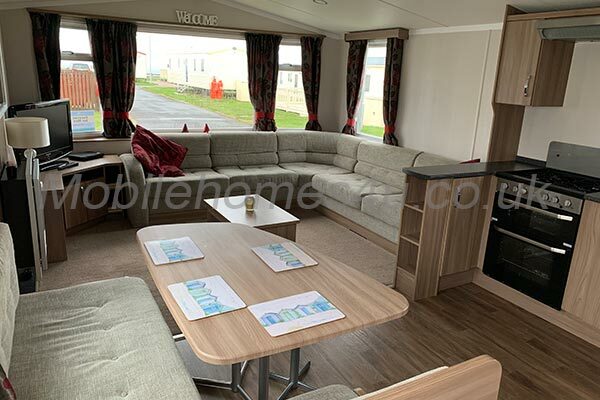 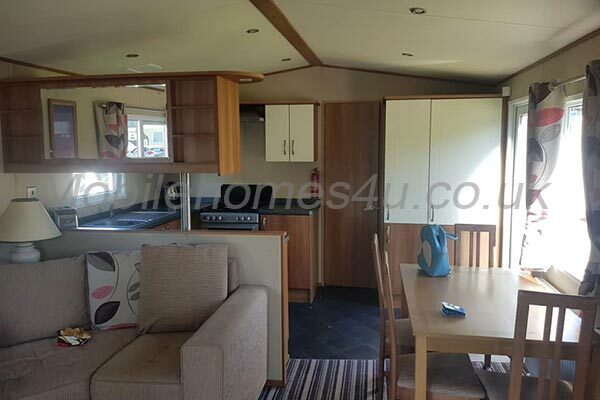 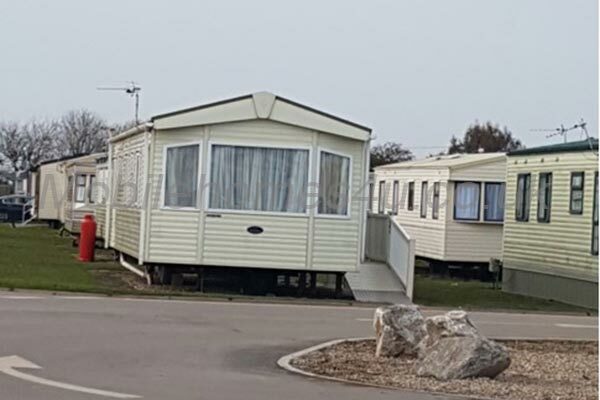 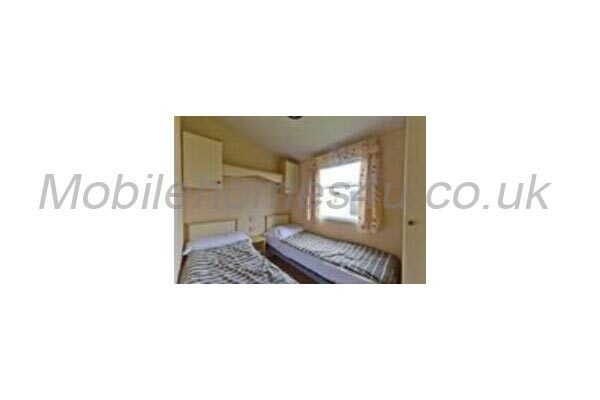 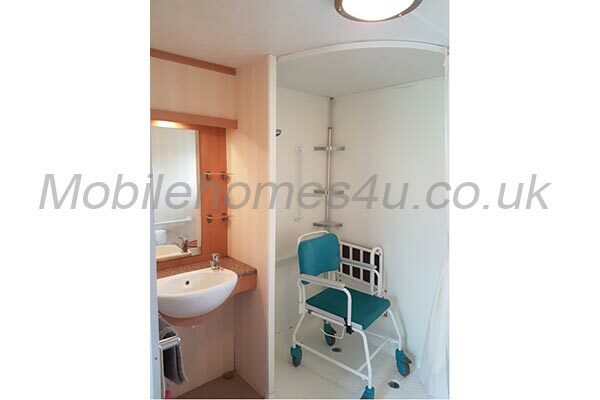 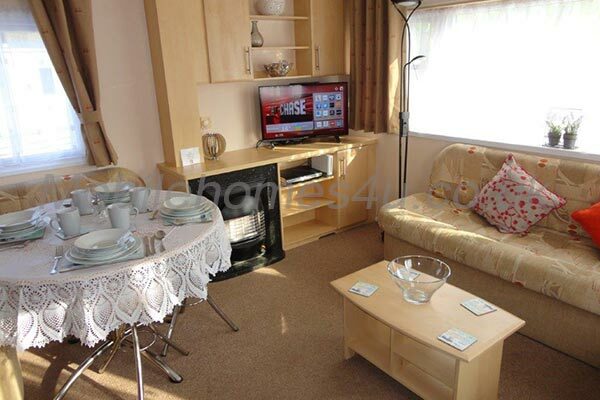 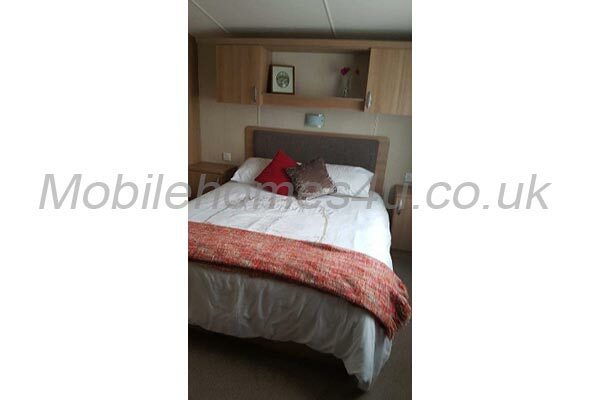 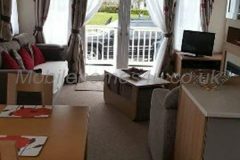 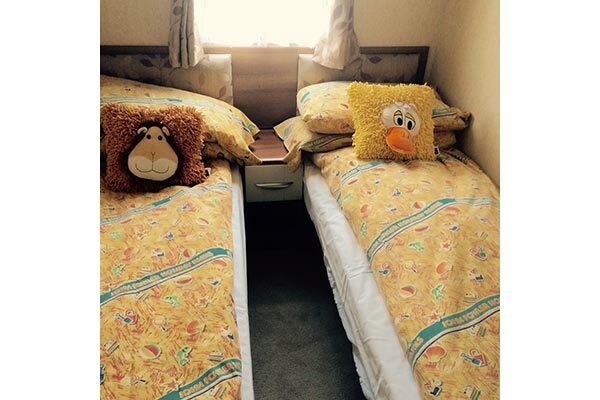 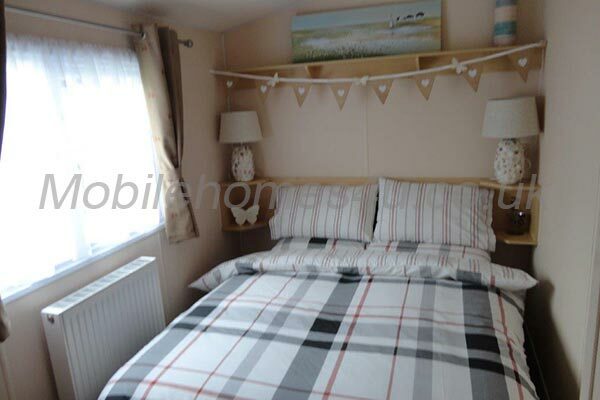 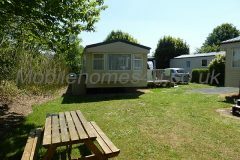 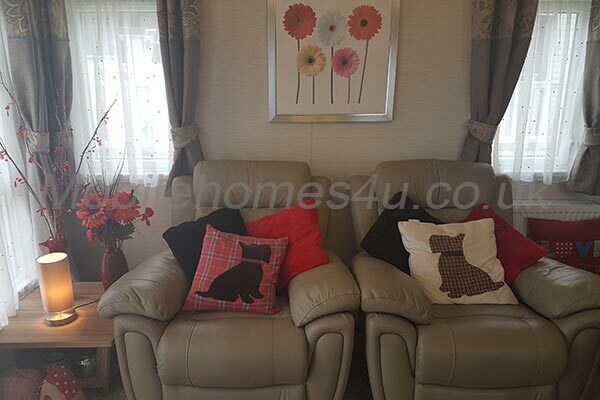 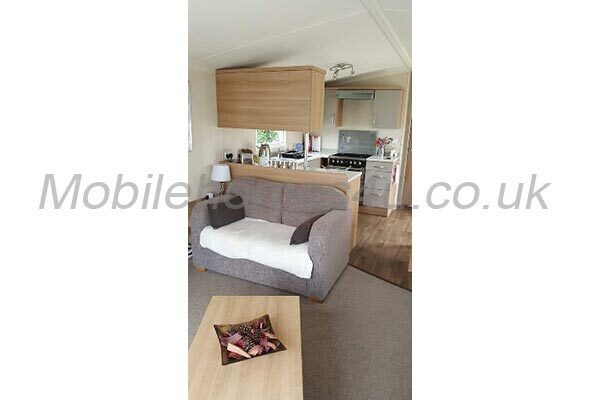 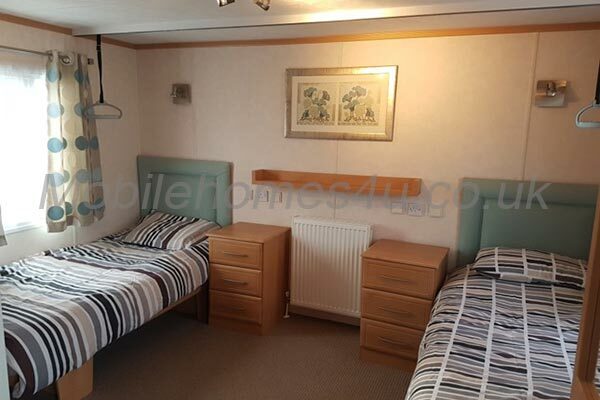 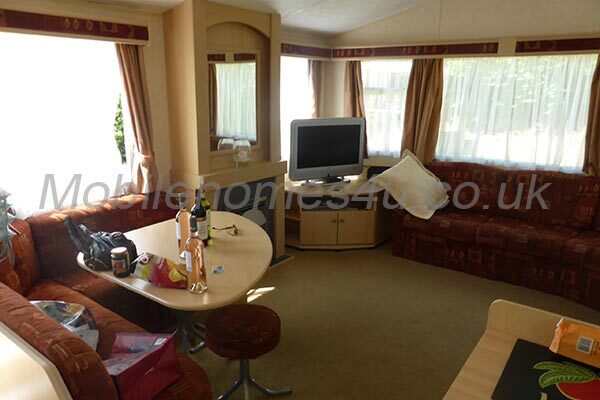 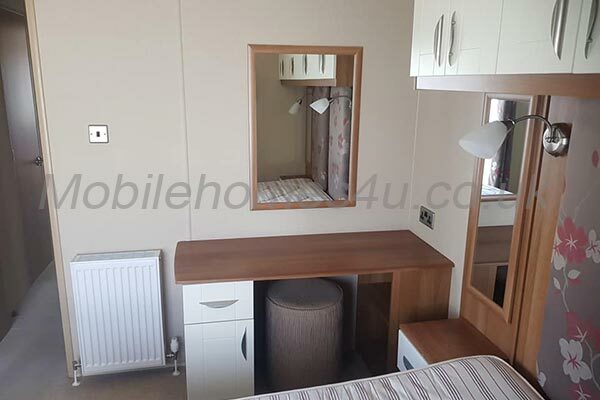 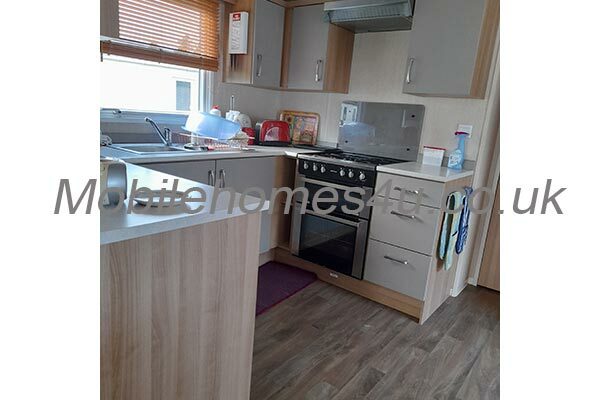 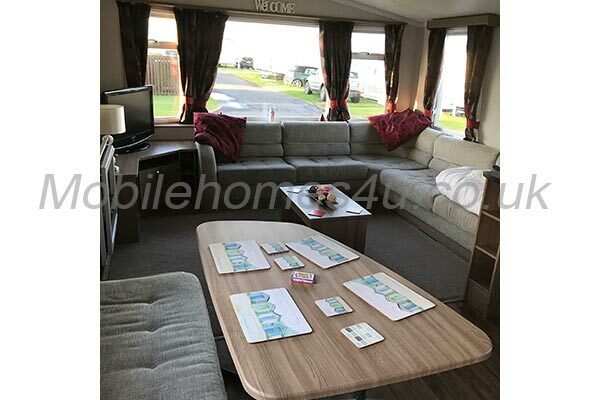 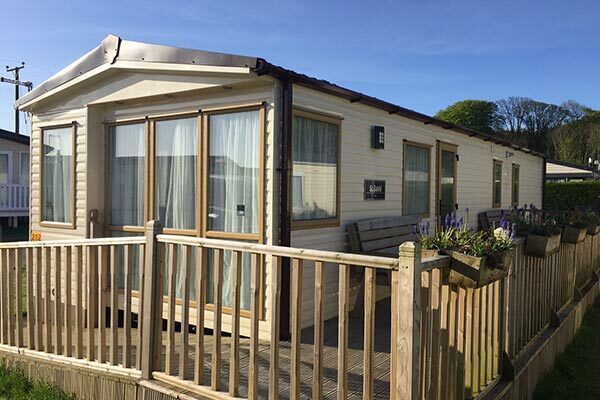 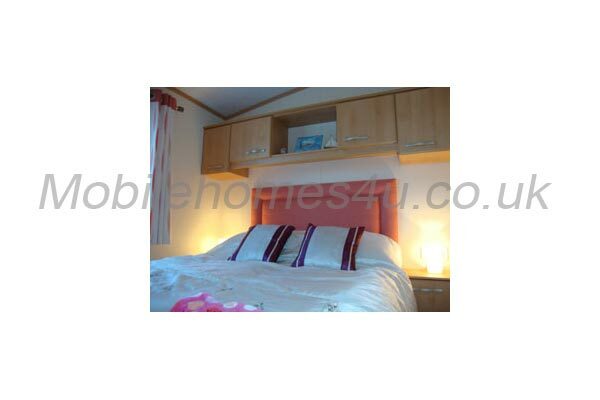 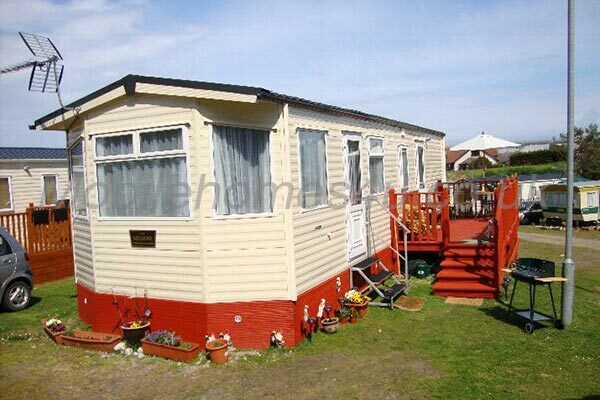 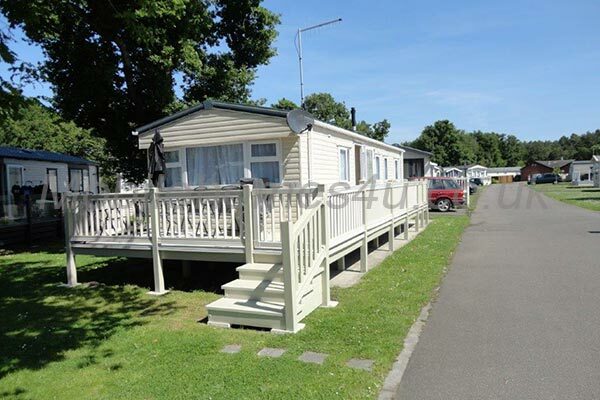 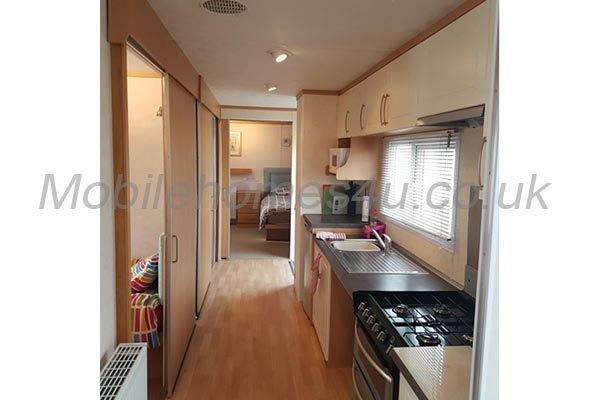 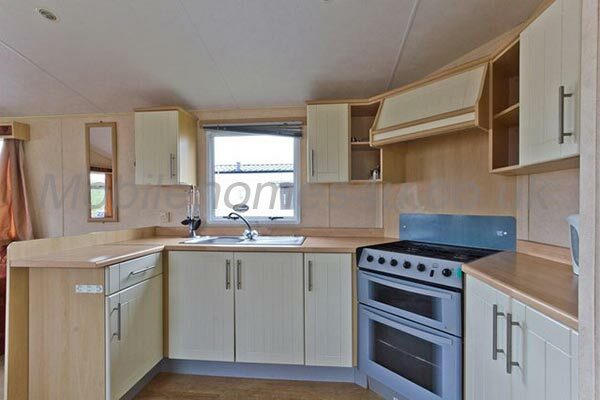 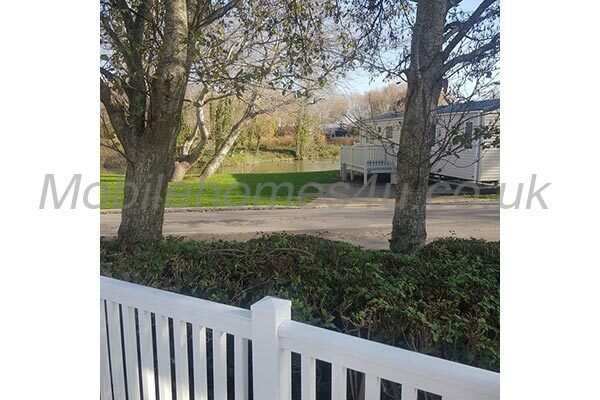 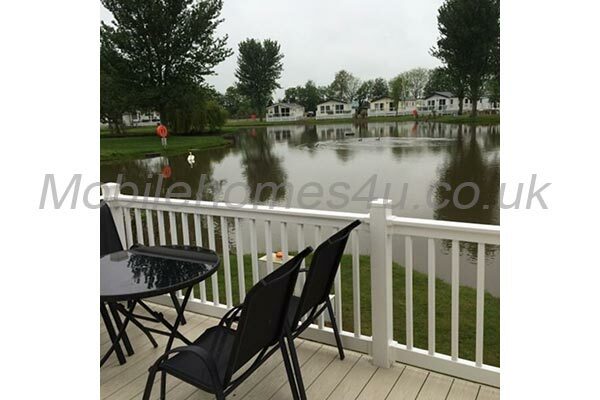 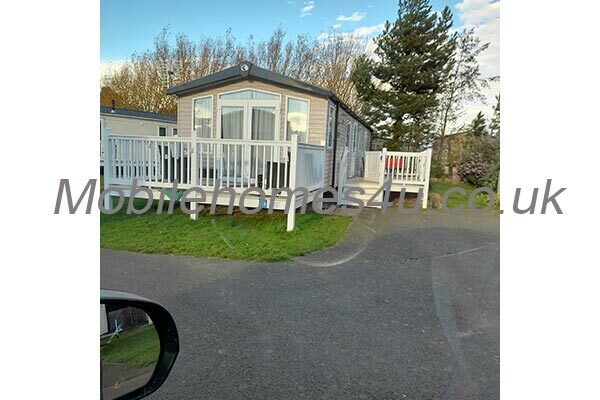 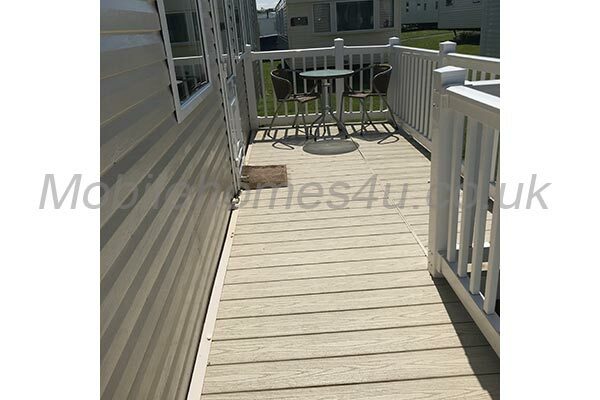 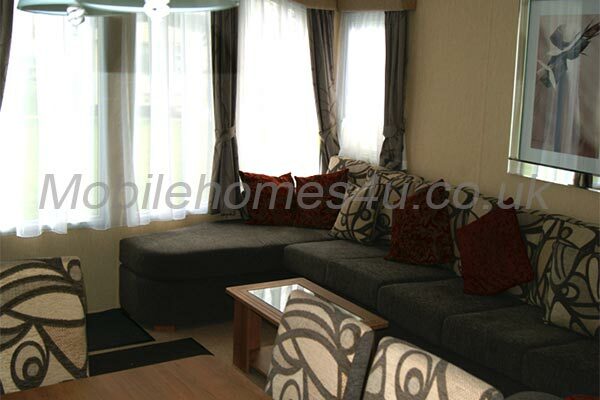 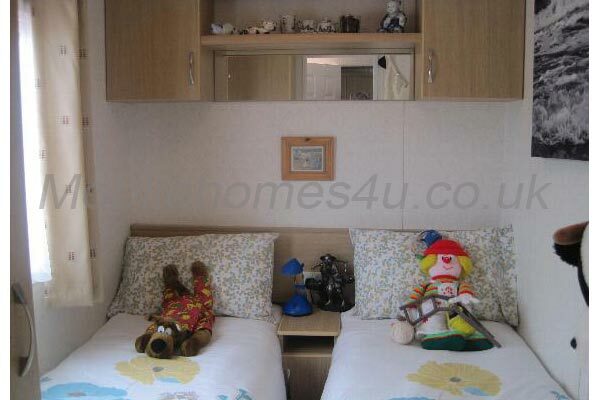 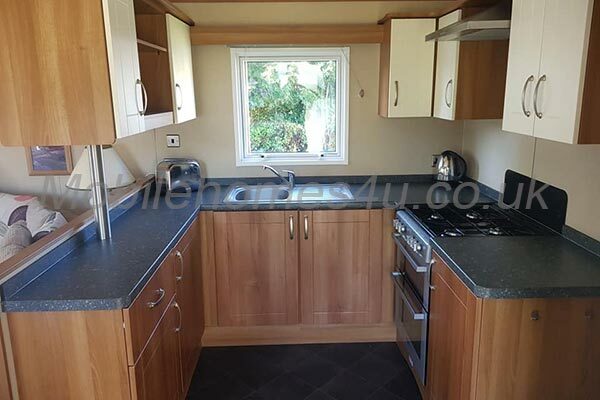 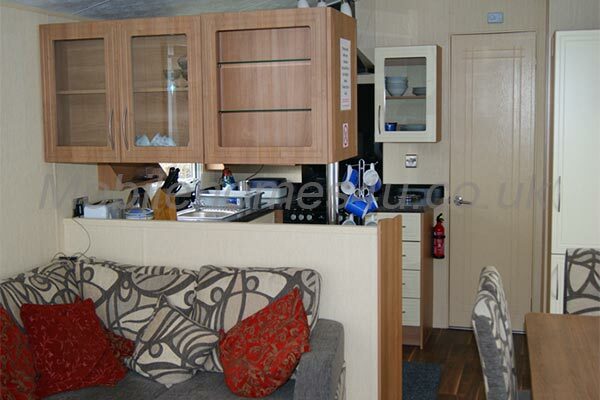 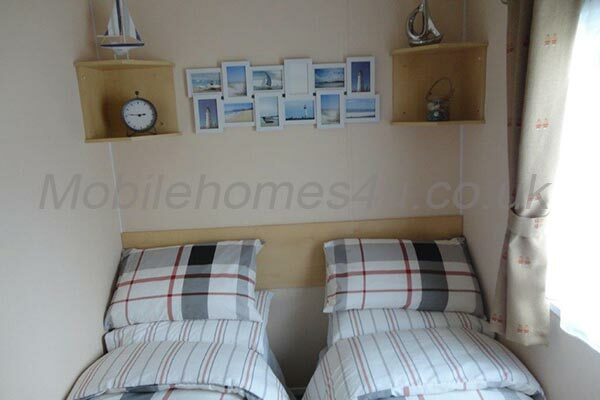 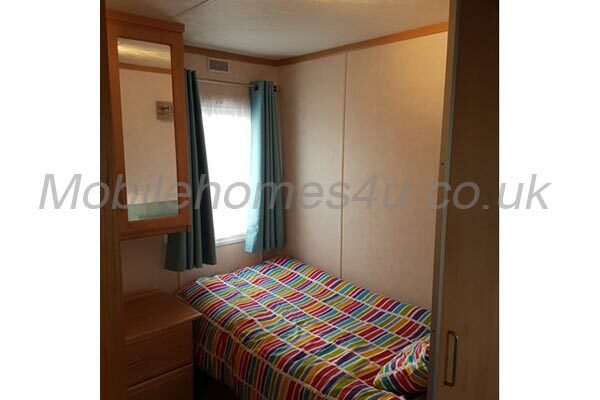 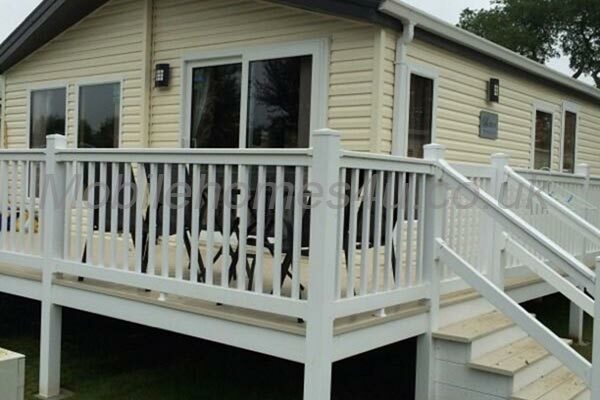 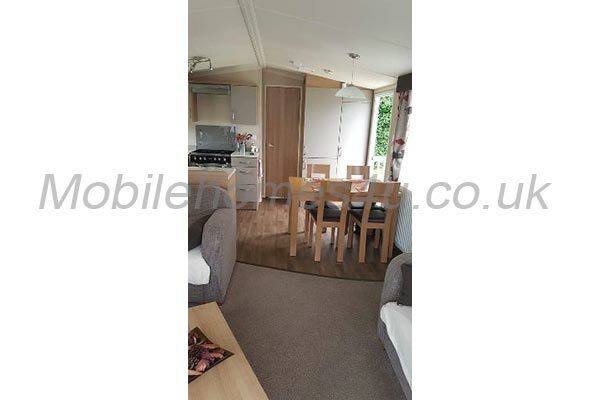 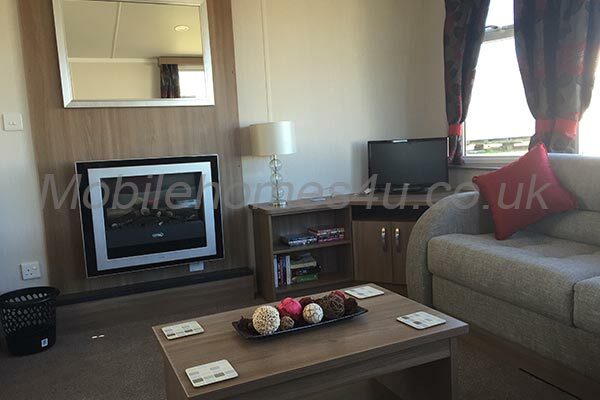 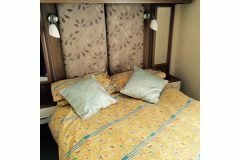 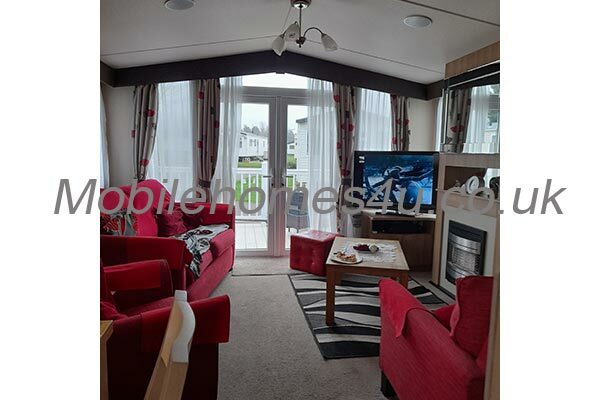 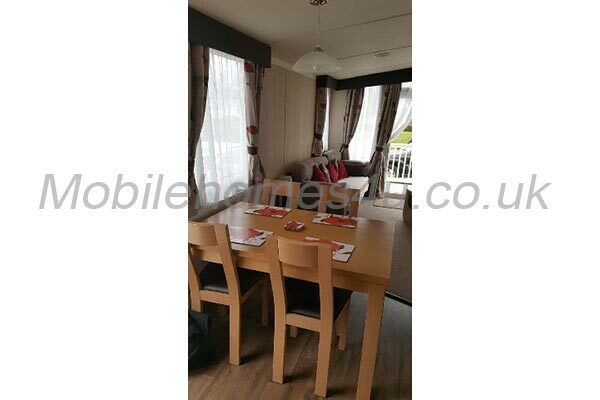 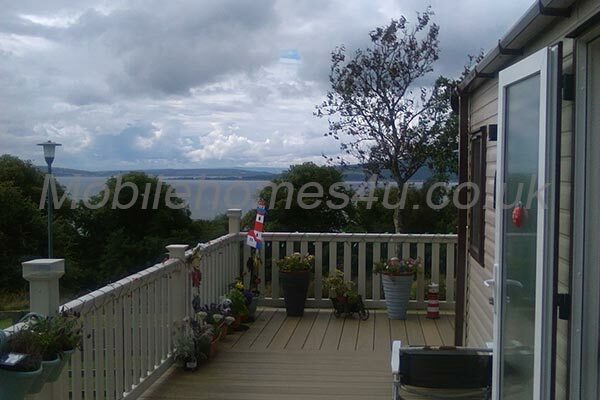 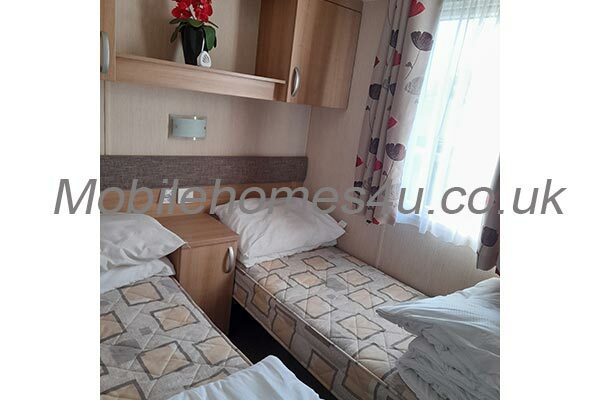 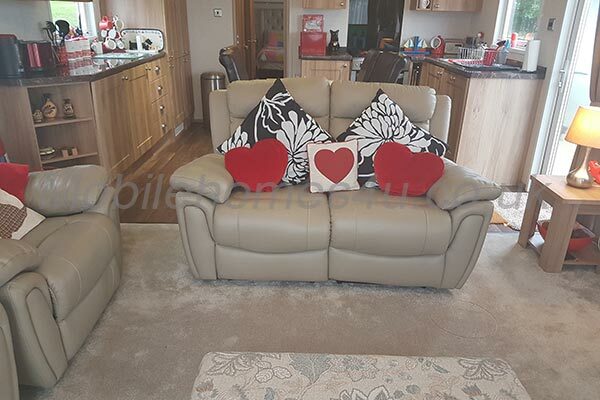 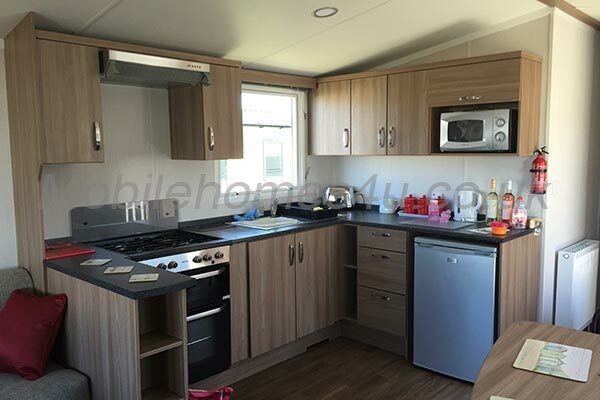 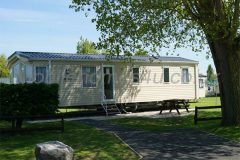 Luxury 8 berth caravan with decking and outdoor seating. 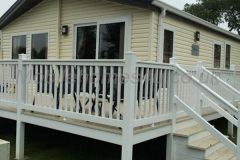 Ramp access. 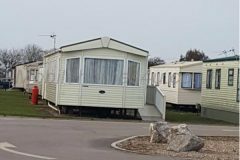 Parking next to caravan. 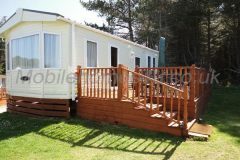 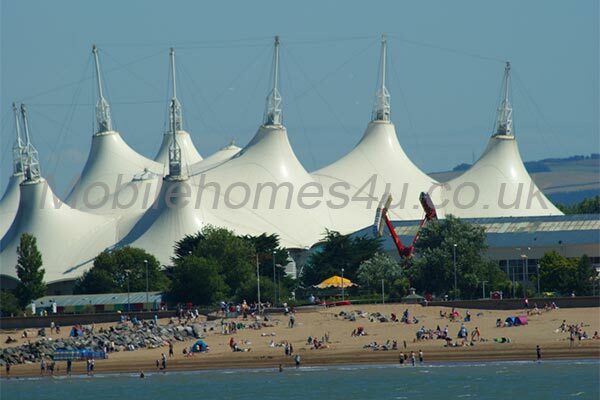 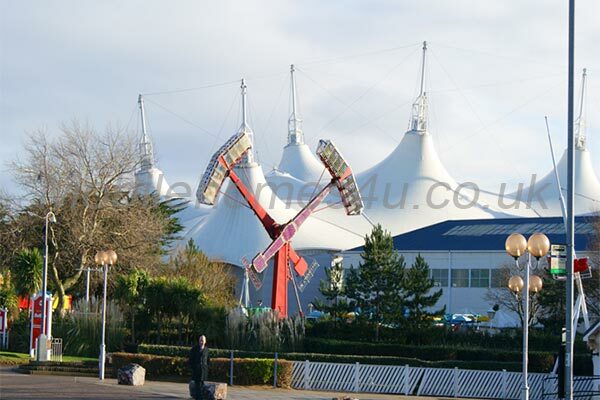 Site offers fishing lake; indoor and outdoor pool; children’s entertainment; adult entertainment; snooker; table tennis in season – March to October. 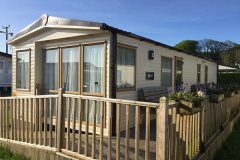 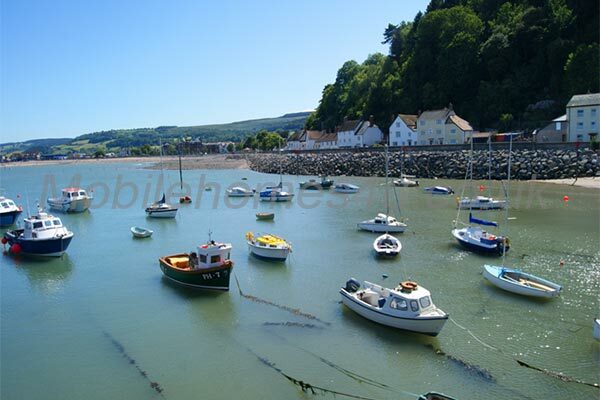 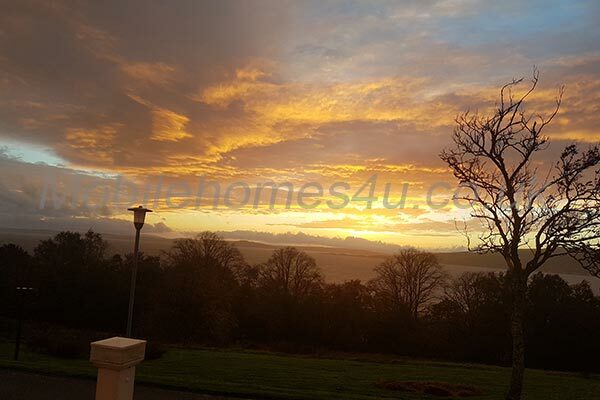 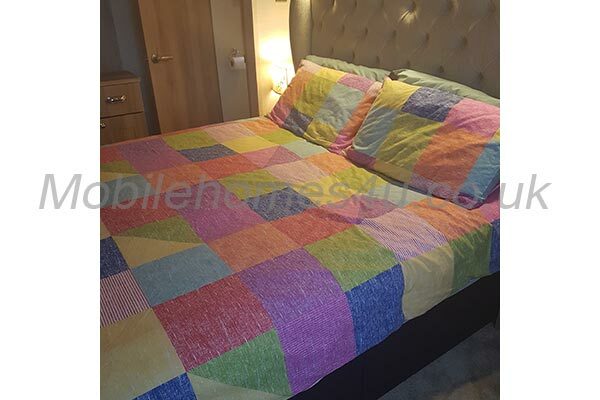 Couple of miles from Looe and caravan is available for winter lets – November to early January to take in the New Year’s festivities in Looe. 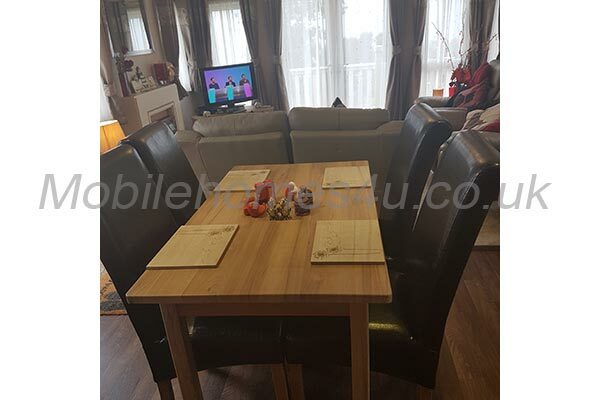 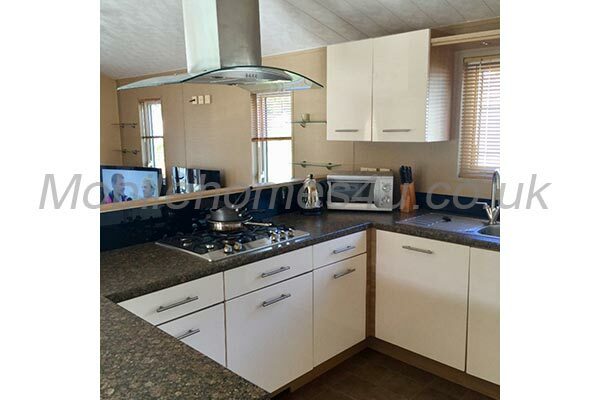 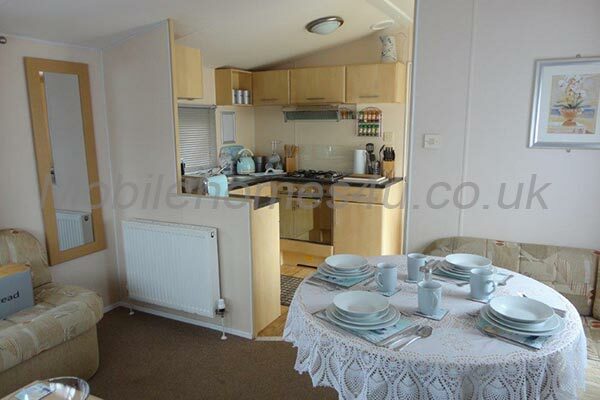 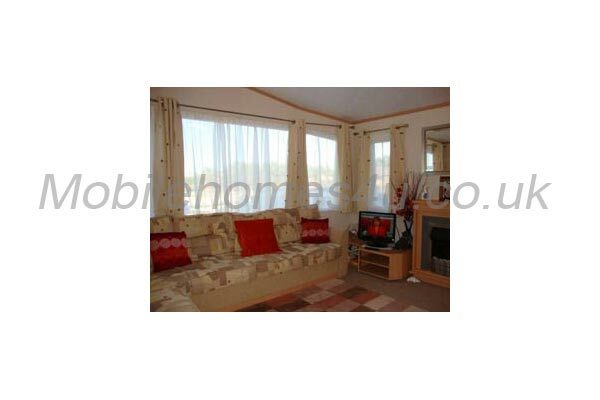 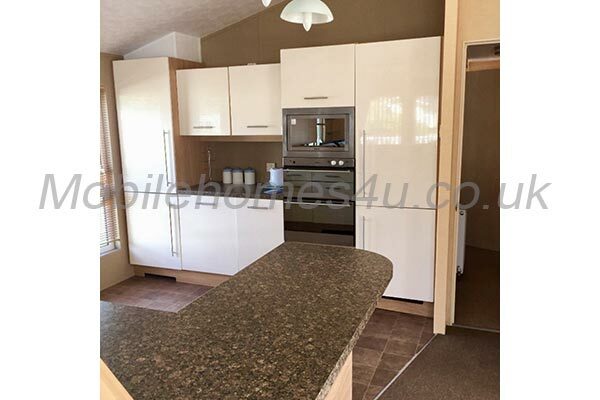 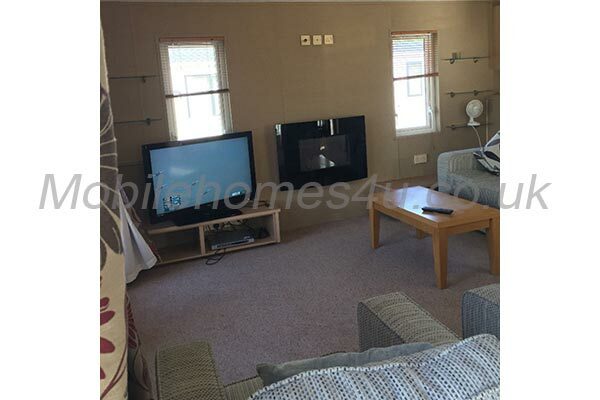 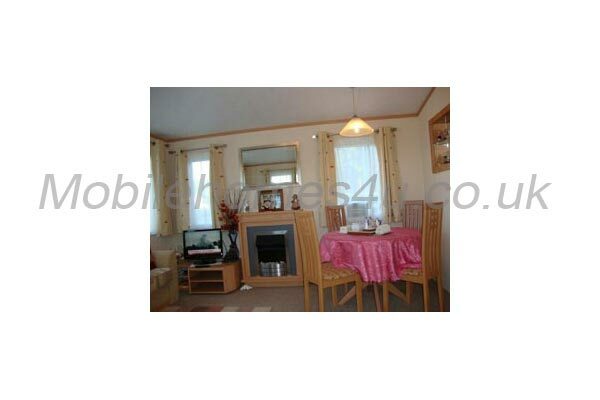 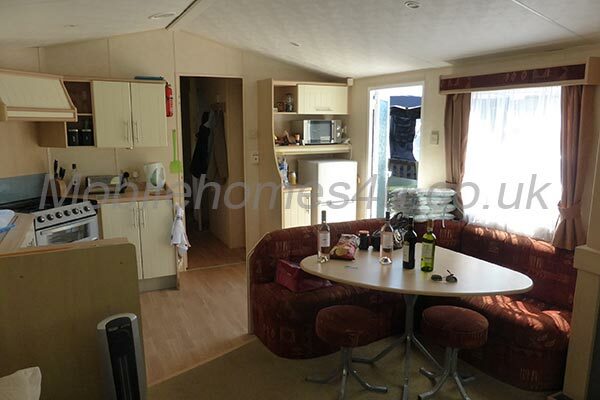 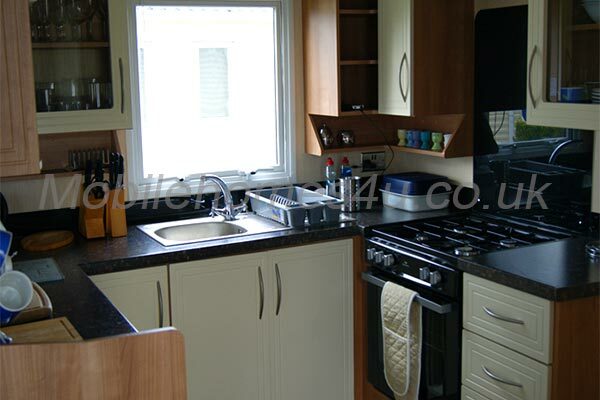 Lounge/diner/kitchen all fully equipped with large fridge/freezer. 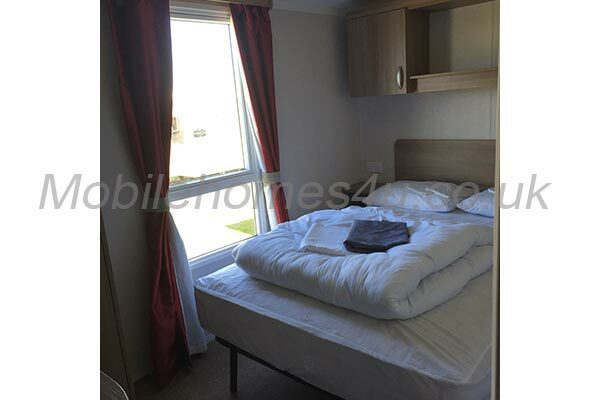 (Laundry facilities are on site). 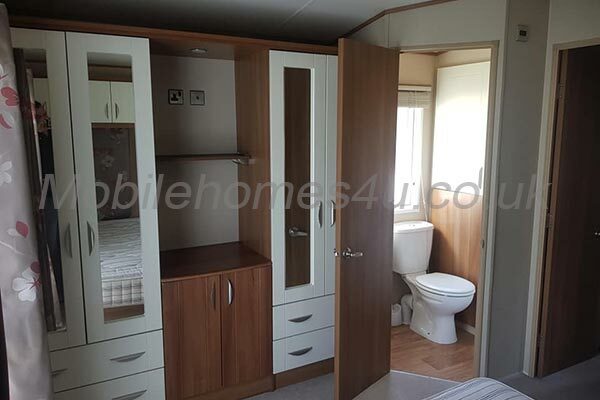 Fully equipped with ample storage space. 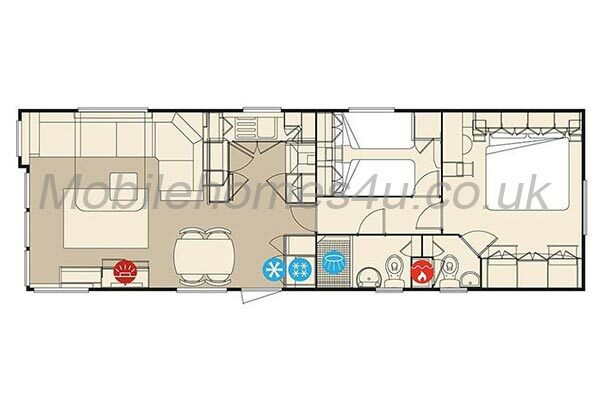 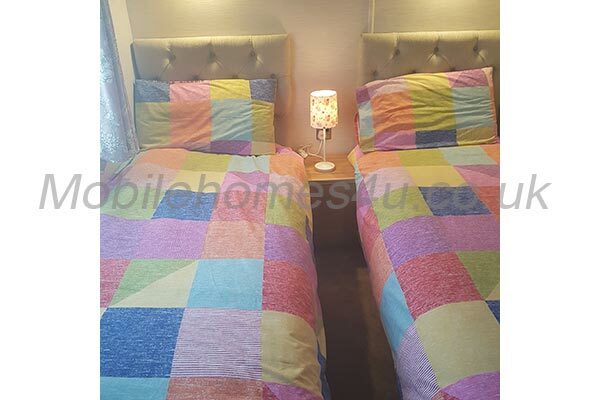 Master bedroom with king size bed. 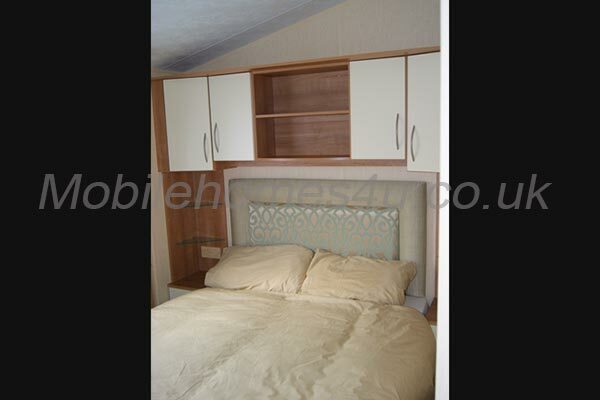 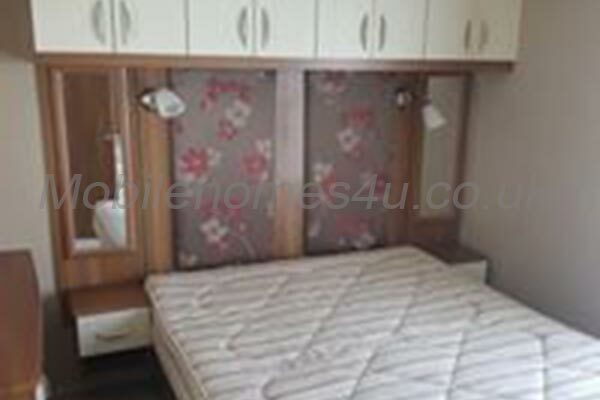 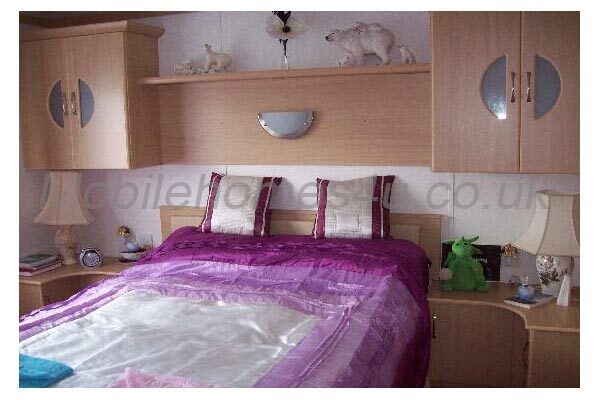 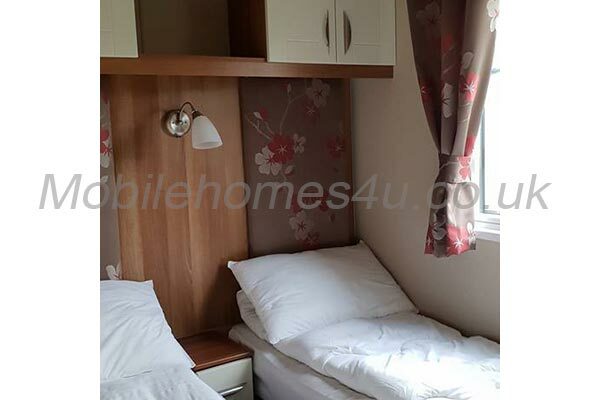 Ample cupboards and dressing table. 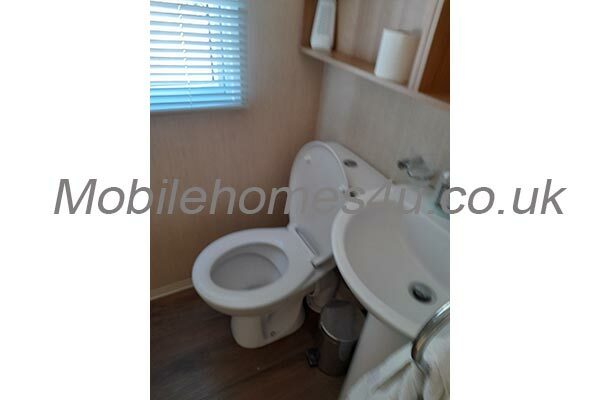 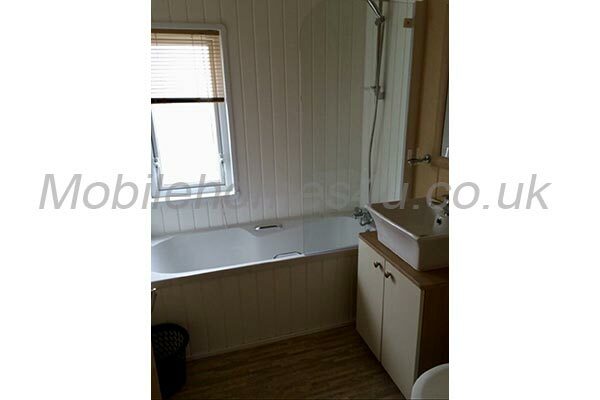 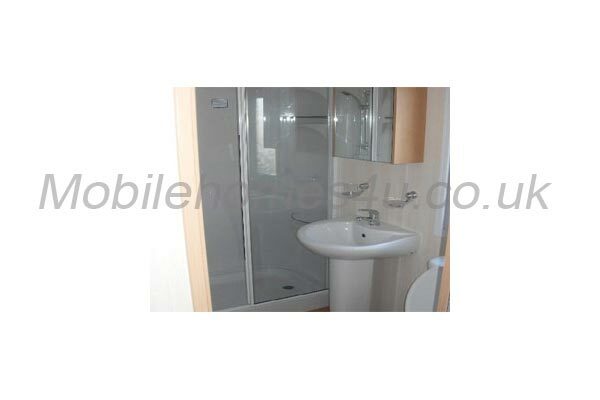 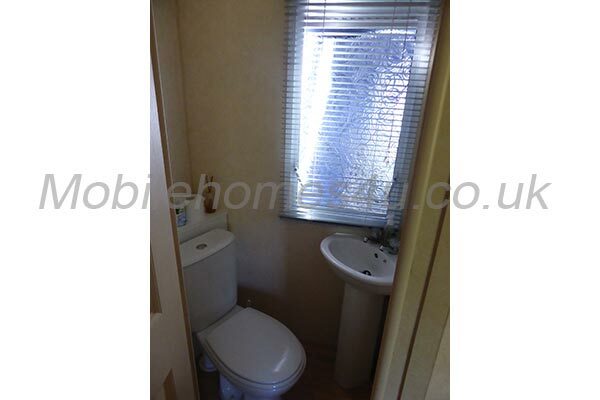 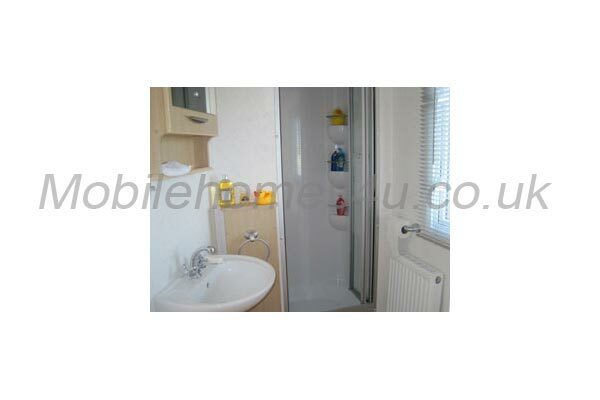 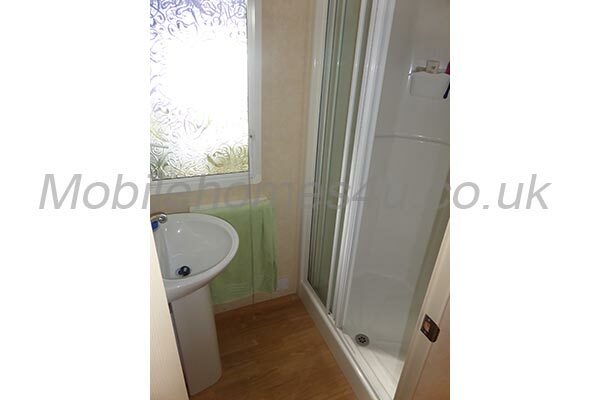 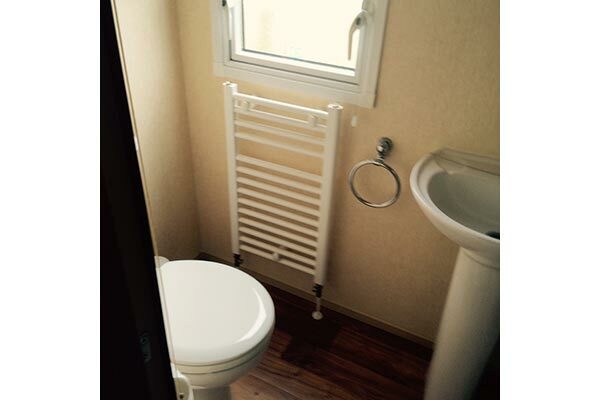 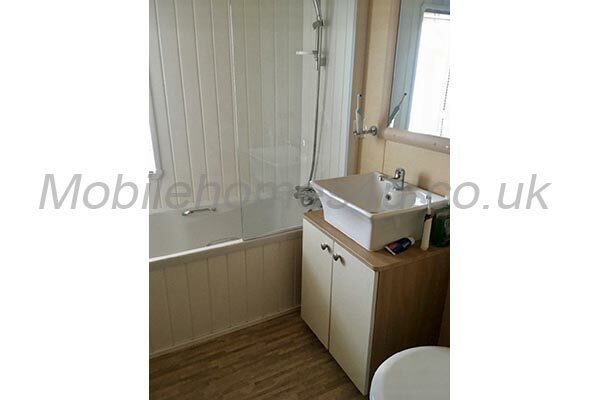 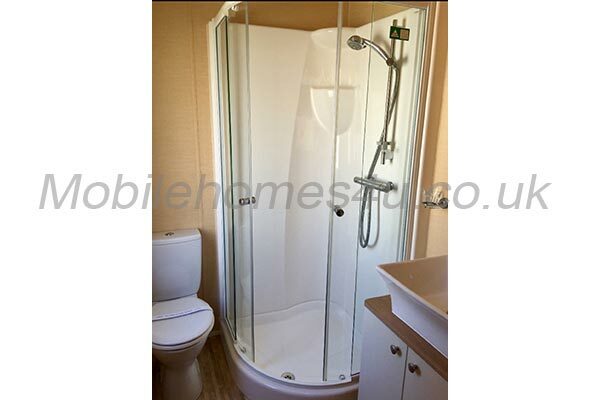 En suite with WC and wash hand basin. 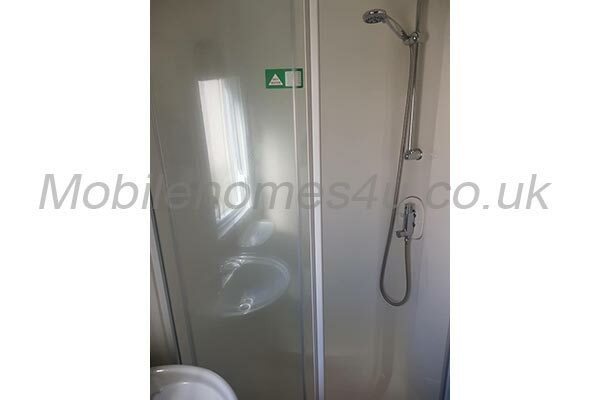 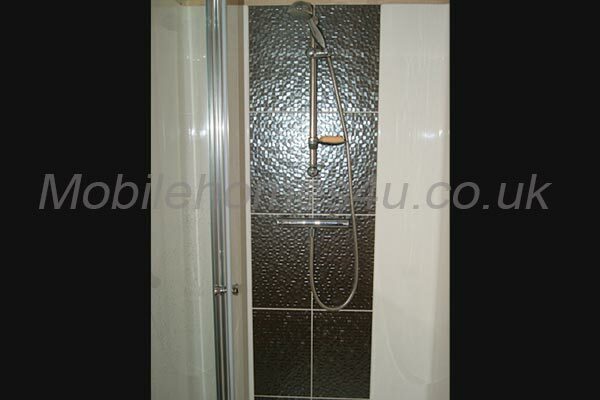 Family shower room with ladder radiator, WC and hand basin. 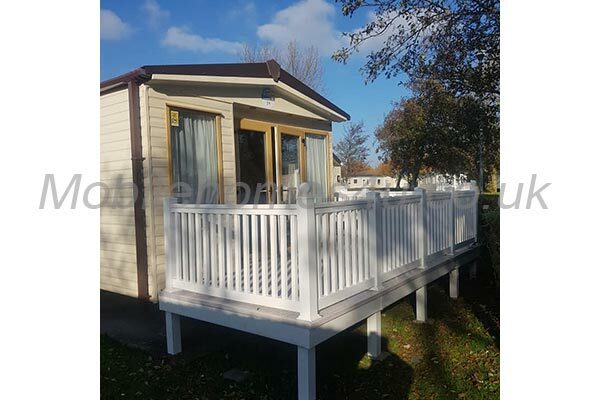 Ramp access leads onto wooden decking with two teak benches. 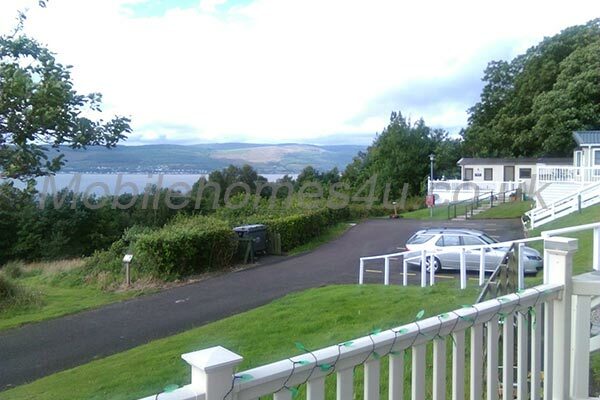 Grass area suitable for barbecues.